Used for: Treatment of expression wrinkles in the upper third of the face. Treatment for Hyperhidrosis. Type of Anesthesia: Not required. Local anesthesia is used for hyperhidrosis. Results: Immediate and lasting 6 months. In hyperhidrosis treatment reduces sweating. 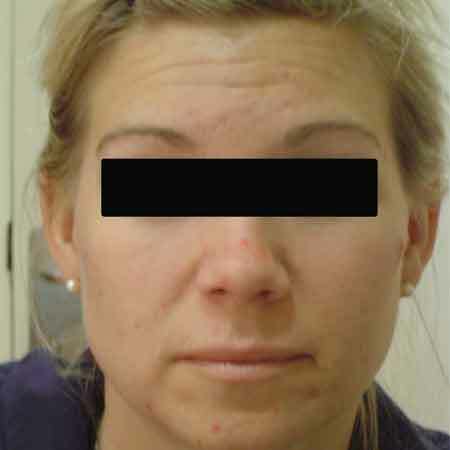 The best experts in Botulinum Toxin Type A Treatments. This toxin is the medical aesthetic treatment indicated for the treatment of expression wrinkles that occupy the upper third of the face, both in the eyebrows and in crow’s feet around the Eyes. This toxin, popularly known as Botox ®, smooth your forehead naturally, obtaining an immediate result and without any contraindications; Is totally healthy. It is a purified protein toxin produced by a bacterium called Clostridium Botulinum, which is non-toxic and does not produce adverse side effects. Treatment with botulinum toxin (Vistabel ®) is applied through microinjections that do not produce pain or inflammation, so that the toxin acts by temporarily relaxing the muscle. 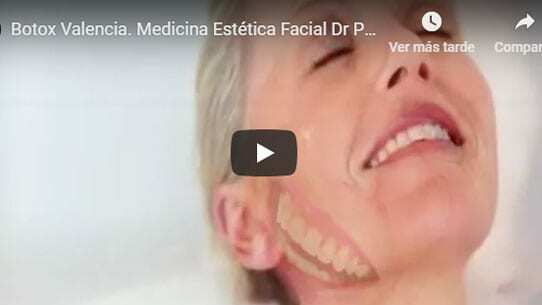 It is a treatment that is indicated for when the wrinkles are already evident and also also as a preventive method, to avoid the appearance of the same at any age. Another suitable application for its good results, is the treatment for the Hyperhidrosis Palmar and axillary or excessive sweating of the palms of the hands or the armpits. While botulinum toxin injections may seem like a simple procedure for you, as it involves injections, it is actually an art and a science that only an accredited health professional is in a position to perform. We have 43 muscles in the face and it is vital that the professional who performs the treatment with botox, make the injections in the correct muscles to obtain the desired effect. By carefully choosing the specific muscles in which to introduce the botulinum toxin, only weak muscles that give rise to the formation of wrinkles that are wished to eliminate, while maintaining the natural facial expressions. The number of injections to perform, will depend on your facial features and the extent of your wrinkles. 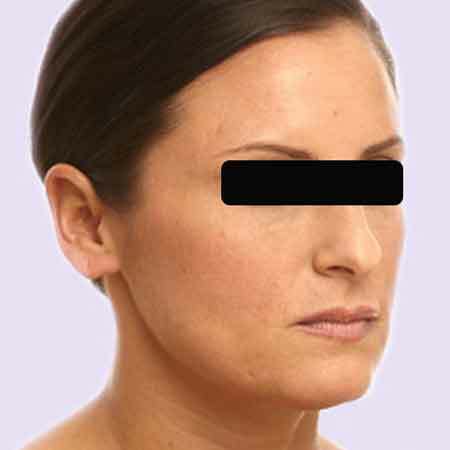 Thus generally wrinkles known as crow’s feet, usually require two or three injections. While wrinkles on the forehead may require some more. It causes a marked improvement in excess sweating on the palms of the hands, armpits and soles of the feet. It is an alternative to the solution posed by surgery for the treatment of axillary hyperhidrosis, but without the risks of it (scarring or development of compensatory hyperhidrosis). The treatment of excessive sweating Valencia and Gandia, is performed with local anesthesia and on an outpatient basis (no hospitalization is required). Who is a good candidate for the treatment? 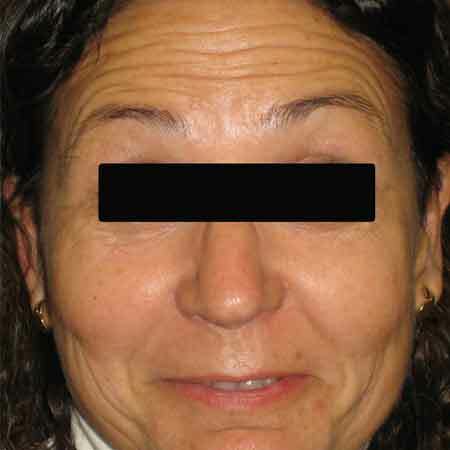 In general a good candidate for this intervention is that person with normal gestures such as smiling, frowning, narrowing the eyes, and even chewing gum – basically any facial movement – can increase one of the most common signs of aging: The appearance of expression wrinkles. These wrinkles can make us appear tired or even angry, when we are not. One of the safest and fastest remedies to eliminate expression wrinkles is the treatment with botulinum toxin type A.
Botulinum toxin can be combined with other cosmetic skin procedures – such as chemical peels, fillers, or microdermabrasion – to further improve the results. This combination of therapies can even help prevent the formation of new lines and wrinkles. Botox: With the infiltration of botox, we achieve relaxation of the muscles, improving the appearance, elasticity and quality of the skin, and with it the attenuation of expression wrinkles, which achieves the effect of facial rejuvenation without surgery. A totally natural and healthy result is obtained without side effects. Application: The infiltration of the botulinum toxin is carried out through the use of a fine needle in the wrinkles between the eyebrows, the forehead and the crow's feet. 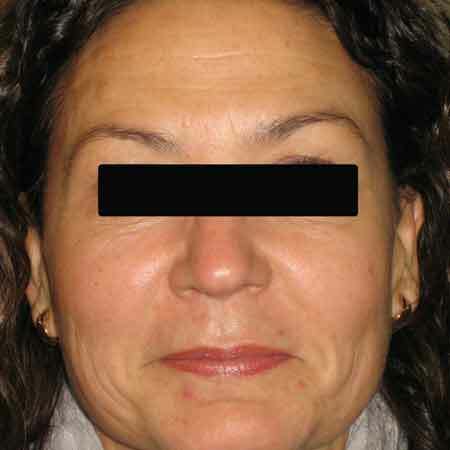 Treatment result: A rejuvenating effect due to attenuation of expression lines. Treatment: No anesthesia or hospital admission is necessary. The treatment lasts between 15 and 20 minutes, obtaining facial rejuvenation results by eliminating expression wrinkles that last about 6 months. 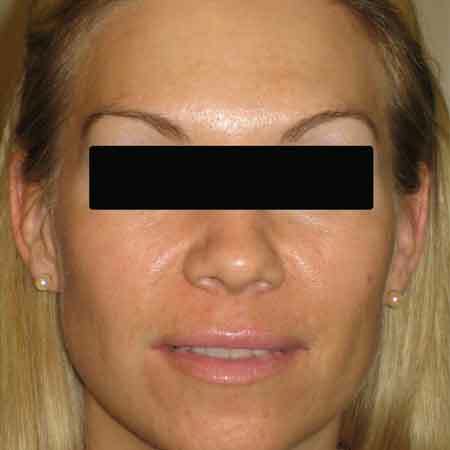 Botox treatment does not require anesthesia of any kind. And you do not need a recovery time or downtime after botulinum toxin injections, and you can resume your normal activities immediately. Simply a note of caution, is that you should not rub or massage the treated area after treatment, as it can cause the botulinum toxin to move to another area of ​​your face. If this happens, you may have some kind of temporary facial weakness. Although botox treatment is generally safe, some side effects that may appear are bruising and pain at the injection site, headache, or redness in the treated area. 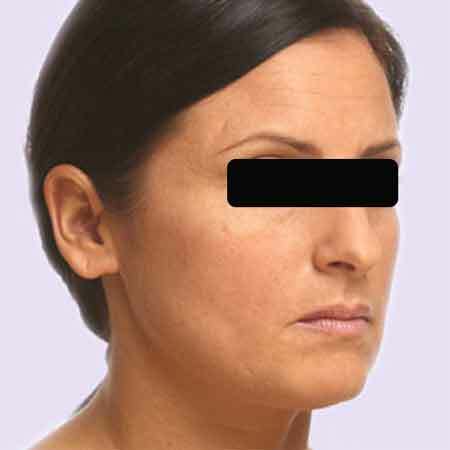 You can see in the photos below several before and after cases of patients who have undergone botox treatment in Valencia at Dr. Julio Puig's clinic. Botox, the price of treatment: How much does a treatment with Botulinum Toxin type A cost? 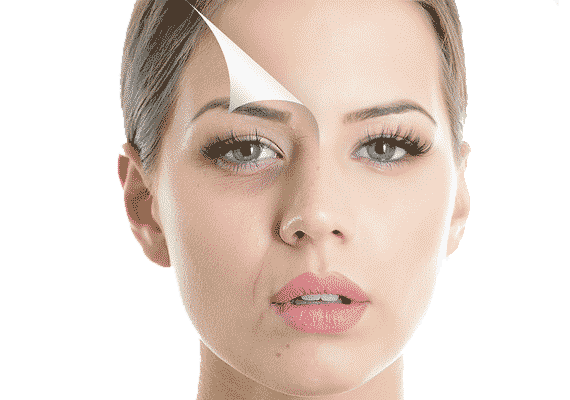 When you as a possible patient ask us about the price of a Botox treatment, you must bear in mind that for us, the most important thing is your health and that in any case the price depends on the personal characteristics of each patient. Therefore, in the Dr. Puig aesthetic clinics in Valencia and Gandia, we will not be able to give you a price in advance before the first visit, in which we make an assessment of the characteristics and needs of each patient. You should know that the final price is influenced by certain factors. 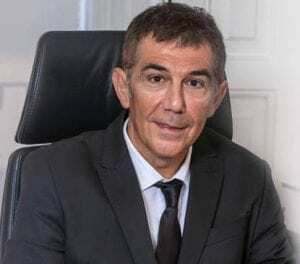 Dr. Julio Puig and his medical team, will advise you the best solution based on your health, your skin and the desired results. If you want a medical evaluation, please quote without obligation, remember that the first consultation is free. Contact us for questions related to botulinum toxin type A. We will answer you as soon as possible. And if you want we will call you.